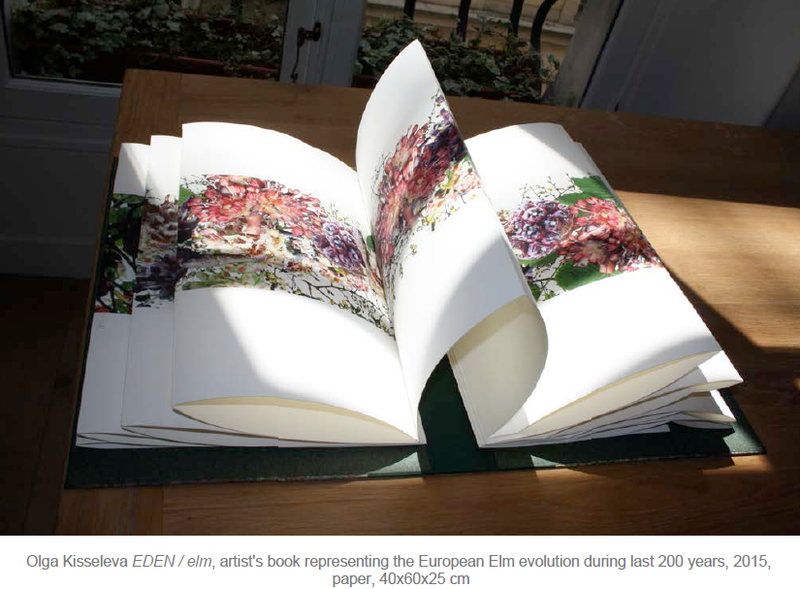 Working on the European Elm, endangered species since 80s, Olga Kisseleva has created, in partnership with specialists from the INRA, a new mediterranean sub-species of elm. This variety is capable of resisting the devastating illness such elm disease, which caused the destruction of almost every elm forest in Southern Europe. The departure point for the project ELM was the history of these trees which have practically disappeared from the european landscape due to this disease. Such scarcity has diminished the diversity of the traditional ecosystem and has led to the proliferation of species that are poorer and sometimes even damaging. The elm is returning and reclaiming the place which has rightfully been its own over centuries and has become a sort of living memorial. In such a way, Olga Kisseleva creates a link between the past, the present and the future by giving life back to an endangered species. The artist Olga Kisseleva's approach to her work is much the same as a scientist's. She calls upon exact sciences, on genetic biology, geophysics, and also on political and social sciences. She proceeds with her experiments, calculations and analyses, while strictly respecting the methods of the scientific domain in question. Her artistic hypothesis is thus verified and approved by a strictly scientific method.